Ethnographer interested in cultural economies, urban space, technology/media & food. What are you doing with your old technology? It’s Christmas time and many of you might be thinking on getting a new gadget for yourself or as a gift for a loved one. It could be a new version of something that you already have (IPhone, IPad, or laptop) or a completely new technological device. Before buying new technology, we don’t usually think about what will happen with the old things that we’re leaving behind. 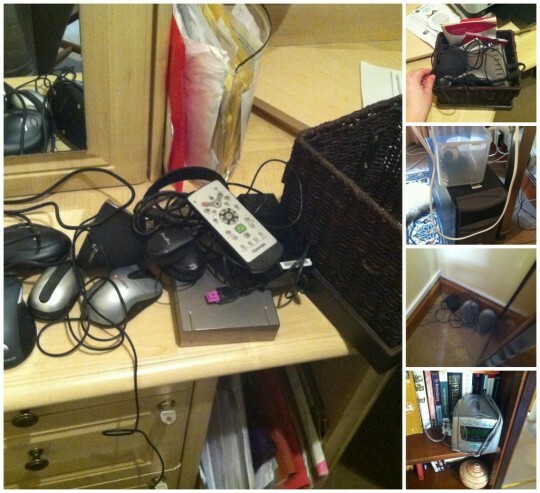 During this year, I completed my MSc dissertation on what families do with their old tech, how they value old things and how they manage the disposal process. I had the chance to visit five families in London, most of them with young children, to talk about their technology uses and disposal practices. I took a look in their drawers, storage rooms and other places looking for their old technological devices and their stories. I´m very proud of the result of my first ethnographic encounter in England, it was a very challenging and rewarding research experience. Why parents are giving old things as gifts? Technology hand-me-downs. I remember when I was growing up I always received my sisters’ old dolls and toys. Even though I played with them I never considered them as gifts. Parents are very concerned about giving technology to their children and they want to transform these gifts in an educational experience at all costs. They feel pressures from school teachers and other friends and classmates, they are constantly comparing; are we giving them enough access to technology? Are we letting them use the laptop for enough time in the day? Will this have an impact in their educational achievement? There are lot of anxieties on these issues. For parents, giving old technology to children is a “saving” and also a way to test their children’s responsibility. Are they mature enough to have, use or carry expensive technology? On the other hand, children don´t like to receive old technology and they usually resist using them or they demand to be compensated (with more time on the Xbox or laptop, new games, money, etc.). Another strategy is buying things “for share”, especially mobile devices (tablets, laptops) which are considered more sociable, because children can use them anywhere. Parents buy something for themselves but are letting their children use them under strict control and surveillance. This is another way of parenting through technology. Do I throw it in the trash bin? How do families negotiate the definition of old technology as waste? It seems that getting rid of old stuff is almost as much work as buying new technology. Most homes are familiarized with recycling; they consider that giving things for charity or to family members or friends are ways of recycling. Freecycling on the street is another way in which families re-circulate their old objects. There is ambivalence on how to dispose old technology. Old technology is displaced to hidden places (drawers, storage rooms) to not deal with the decision of throwing away something precious. Personal objects are hard to let go, old technologies such as the first family PC, video recorders or music players are witness of personal and emotional experiences, they can keep personal data that needs to be protected or family history, especially children memories such as holiday videos or audio recordings. Revaluation and circulation of old technology is not yet a very structured and regulated process within homes; families still struggle with the transformation of old technology into waste materials. What will you do with your old technological items? Next Next post: Why am I interested in food?